James Reams formed the Barnstormers in 1993. 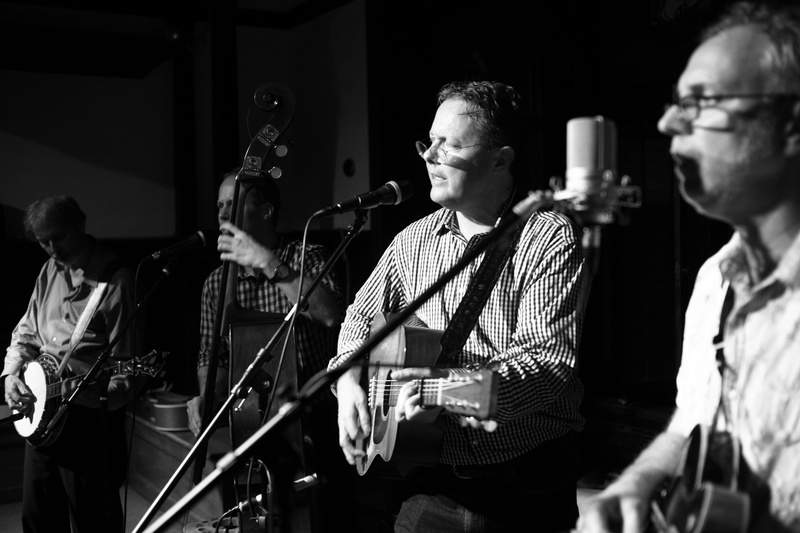 Coming from a family of traditional singers in southeastern Kentucky, James has played both old-time and bluegrass music since he was just a little sprout. James is known as an “ambassador of Bluegrass” for his dedication to and deep involvement in the thriving bluegrass and Americana music community. To date, he has released nine CDs including a special DVD documentary of the band. His latest CD, Rhyme & Season, was released in March, 2016 and is already receiving high acclaim. Reviewers have called this recent release “visionary”, “inspired”, “mesmerizing”, and “authentic.” The band’s 2011 album, One Foot in the Honky Tonk, made 2 Top Ten CDs of 2011 Lists and a single (Almost Hear the Blues) from that CD charted nationally. His original songs are important additions to the bluegrass repertoire, keeping this tradition alive with contemporary issues and new sounds. His guitar playing was highlighted in Flatpicking Guitar Magazine’s “Masters of Rhythm Guitar” column. 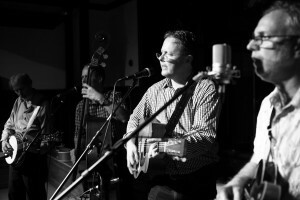 James is also the organizer of the Park Slope Bluegrass Oldtime Music Jamboree, an annual music festival he started in 1998 that attracts musicians and fans of traditional music to its workshops, jamming and concerts — the only event of its kind in or around New York City and nominated by the IBMA for 2014 Bluegrass Event of the Year.